» Can Mike Dunlap — or Anyone — Save Loyola Marymount Basketball? Can Mike Dunlap — or Anyone — Save Loyola Marymount Basketball? 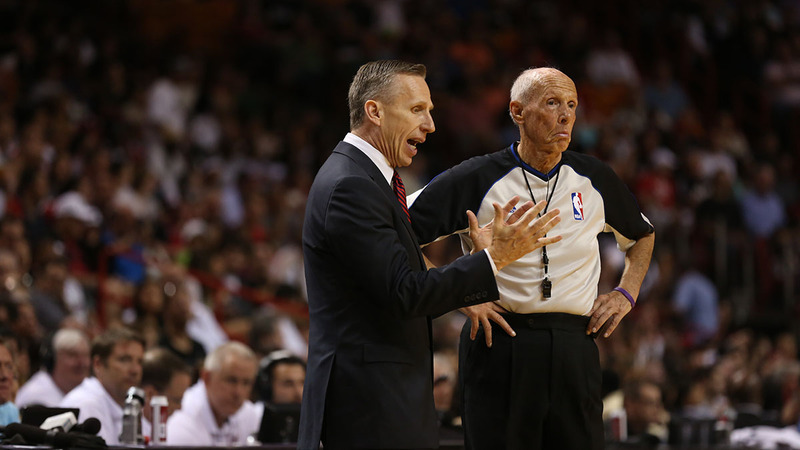 Mike Dunlap arrived as an assistant coach at USC in April 1986, wide-eyed and eager to learn after following head coach George Raveling from Iowa to California. The coaching regime change set in motion a complicated series of events and miscommunications that ended with Raveling informing star freshmen Hank Gathers and Bo Kimble that their scholarships would not be renewed. The duo had been recruited by another coaching staff — the one that Raveling and his staff displaced — and Raveling believed that the players were planning to transfer, so he beat them to the punch. By effectively revoking their scholarships, Raveling was giving himself extra time to recruit replacements for Gathers, Kimble, and fellow freshman Tom Lewis, who also left USC after that year. “We did not want to leave USC,” Kimble recently said. “That I can tell you. It just turned out that way.” Dunlap said he believed that Raveling never had a chance to keep the freshmen: “I don’t think Coach was motivated to lose Gathers or Kimble or Lewis, but it was already [a] fait accompli.” At the time, Dunlap probably never would have guessed that the school Gathers and Kimble left USC to attend, Loyola Marymount, would be the same program he’d be hired to save nearly 30 years later. Back in the mid-’80s, Loyola Marymount, a Jesuit university that rests atop a bluff overlooking West Los Angeles, had an unheralded basketball program. Gathers and Kimble were routed to LMU by Dave Hagan, a Philadelphia Roman Catholic priest who had coached and mentored Gathers throughout his youth. Hagan believed it was important for the young men to stay on the West Coast, far away from Philadelphia and its potential distractions and bad influences. Hagan recommended Loyola Marymount because he was familiar with its coach, Paul Westhead, who had been the coach at Philadelphia’s La Salle University throughout the 1970s. LMU, at the time, was “kind of folksy, kind of regional,” recalled Westhead, who, like his star transfers, had also recently departed a well-known Southern California basketball institution. Westhead had coached the Los Angeles Lakers to an NBA championship in 1980, but he was fired two seasons later after falling out of favor with Magic Johnson. By 1990, Loyola Marymount had captured not just Dunlap’s attention, but the adoration of the entire college basketball world. Gathers and Kimble had become electrifying talents, while Westhead’s offense seemed to create a new, hypercharged version of the sport, with final scores like 157-115 and 152-137. They were hitting their stride for a deep March Madness run when Gathers died shortly after collapsing on the court during the first half of a March 4, 1990, game against Portland. Gathers, who was found to have the heart condition hypertrophic cardiomyopathy, was 23 years old. The nation watched as Loyola Marymount rallied for an NCAA tournament run after the tragedy, and the 11-seed Lions sprinted their way to the Elite Eight. During the tourney, Kimble famously converted his first foul shot of each game with his left hand — a tribute to Gathers, who had struggled at the line and had tried southpaw free throws as a remedy. This season, Dunlap is the latest coach to attempt to right the Loyola Marymount ship. He took the job in March, after a circuitous route back to the place where he started his coaching career. Dunlap, like Westhead did decades ago, came to LMU after an abbreviated head-coaching stint in the NBA. The Charlotte Bobcats hired Dunlap as head coach in 2012, a detour that lasted only a season before Steve Clifford took over and led an upgraded roster to the 2014 playoffs. Dunlap had a limited amount of time to execute his turnaround plans in Charlotte — he arrived one season after the Bobcats went 7-59 and set a record for the worst winning percentage in history during the lockout-shortened 2011-12 season. At Loyola Marymount, Dunlap is taking on a challenge that has bedeviled pretty much every coach who has worked at the school in the past 25 years: how to turn the Lions into a winning program. 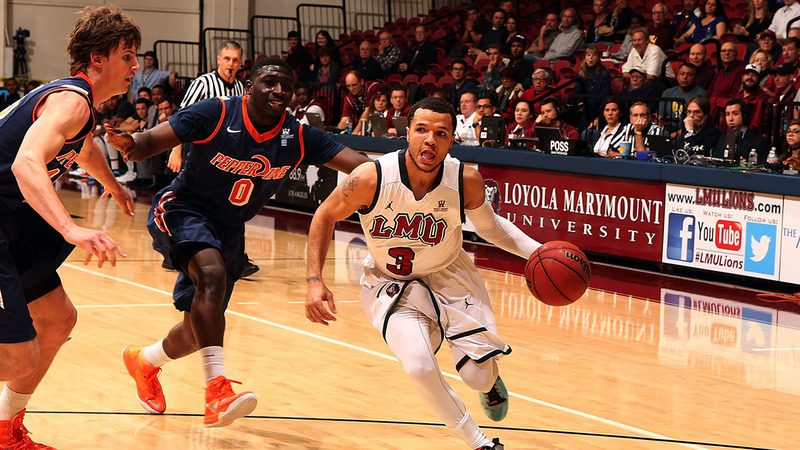 There are a number of reasons to believe that LMU could become a mid-major force. Start with its campus, which has the most gorgeous environment of any school in Los Angeles and which should be a real asset in recruiting. It’s not uncommon to hear that USC and UCLA are close to the beach, a claim that might cause any Angeleno familiar with downtown or Westwood traffic to burst out in laughter. Loyola Marymount is walking distance from the Pacific Ocean and a quick ride up Lincoln Boulevard from famous locales like Venice and Santa Monica. 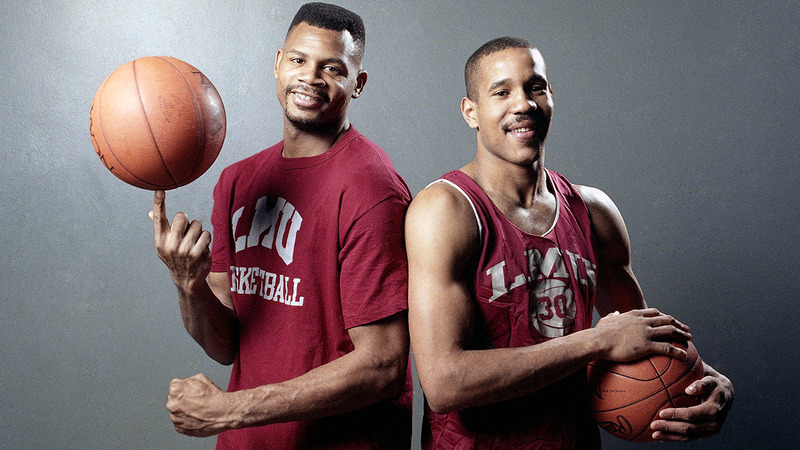 Besides the lifestyle benefits, LMU can offer recruits a connection to the Gathers-Kimble era and one of the most beloved and memorable college basketball teams of the past three decades. California also happens to be a hotbed of basketball talent — last season, the only state that produced more Division I players was Texas. Sure, the Pac-12 schools will likely beat LMU to the All-America-level recruits, but California’s talent pool is so deep that even with the state’s second-tier players, Dunlap could probably build a competitive program. Yet while fellow West Coast Conference schools Gonzaga and Saint Mary’s churn out NBA players and earn near-annual bids to the NCAA tournament, Loyola Marymount, with all of its geographical and historical advantages, has finished dead last in the conference standings for two straight seasons. Why the hell hasn’t LMU been better over the years, and what can Dunlap do to get the program there? Bove remembered a moment when Michigan’s coach, Steve Fisher, stood and looked up at the ceiling before sitting back down, as if he knew there was nothing the Wolverines could do. “It was like [LMU] had been in some way possessed,” Bove said. 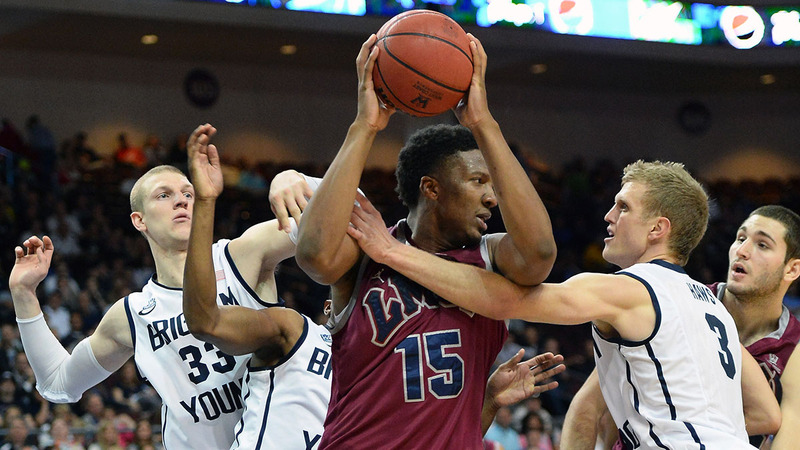 “There was no way we were not going to win that game.” LMU won 149-115, then the Lions edged Alabama in the Sweet 16 before falling 131-101 to eventual champion UNLV. With Kimble also headed to the NBA, the Loyola Marymount basketball renaissance was over almost as soon as it started. “When Westhead left, the whole philosophy and reputation just died,” recalled Barry Zepel, who worked as the LMU sports information director. “The school didn’t really care. Athletics wasn’t as important to the Jesuit administration as it was maybe to the students and to the alumni.” Westhead’s assistant, Hillock, was elevated to head coach. “It was very challenging,” Hillock said. “We had a tough schedule and the stars were gone.” In two years under Hillock, the Lions went 16-15 and 15-13 and failed to make it out of the first round of the WCC tournament both years. Hillock tried to preserve Westhead’s up-tempo style, but the system was less potent without NBA-caliber athletes like Kimble and Gathers. Olive left Loyola Marymount after the 1996-97 season, and since then the school has burned through five coaches and endured 14 losing seasons. In 1999-2000, the school went winless in conference play. Meanwhile, conference rival Gonzaga has developed into the most successful mid-major program in college basketball, a powerhouse that routinely makes the NCAA tournament and occasionally enters the national championship conversation. “When Gonzaga hit it big, they absolutely made the commitment that basketball was going to pull them out,” said Bove, who served as the WCC president for much of the 1990s. “That was going to be the tail that wagged the dog.” Max Good, LMU’s coach before Dunlap, amassed a 75-104 record over six seasons, and the Lions had only five conference wins over the past two seasons combined. Inside his office at Loyola Marymount in September, Dunlap finished watching the United States defeat New Zealand in the FIBA Basketball World Cup. Throughout the game, he took meticulous notes, jotting down how the teams conducted dribble handoffs on the perimeter. Maybe, he thought, there was a way to incorporate what he saw into LMU’s offense. There are few moments in a day when Dunlap is not consumed by basketball. He even tends to answer questions as a coach, using bullet points to outline his first, second, and third thoughts, and so on. Back in June 2012, Dunlap was an overwhelming surprise as the Charlotte Bobcats’ choice for a new coach. After his initial interview with the team, Dunlap had been informed he would not be invited back for a final round of talks. “Then they came back four days later and ask if I’d interview a second time,” he recalled. Dunlap’s coaching career began almost the moment he finished his final season as a player at Loyola Marymount. After cycling through assistant coaching gigs at LMU, Iowa, and USC, he was named head coach at Division III Cal Lutheran in 1989. After five years, Dunlap moved to Australia to coach the Adelaide 36ers. In 1997, he returned to the United States and settled in as coach of Metro State, a Denver-based D-II program. In 2000, while Loyola Marymount was going winless in WCC play, Dunlap’s Metro State Roadrunners won a national championship. They captured another title two years later. In 2006, Dunlap accepted an opportunity to work on George Karl’s staff with the Denver Nuggets. The Bobcats began the season with seven wins in 12 games, but the promising start crashed and burned when Charlotte stumbled into an 18-game losing streak. The Bobcats finished the season with 21 wins and were once again among the worst teams in the NBA. “They had drastically improved,” Dunlap said of his young players’ individual abilities. “Kemba, Bismack — and then there was a plateau on the numerics. So you have a guy upstairs who’s looking at numerics, or an agent that’s calling the general manager saying [the coach] should be playing my guy because Bismack’s not doing this or Gilchrist is not doing this or Kemba’s not doing this. There’s always that little rub where you have to stand in one place and say, ‘When you started this journey, you wanted the young guys developed.’ Now there’s a plateau, but I can’t go in there and do an hour and a half with Bismack. He’s exhausted.” Charlotte fired Dunlap after one season, but Dunlap said he appreciated the experience and enjoyed watching the Bobcats advance to the playoffs after Clifford replaced him. Although Dunlap took a year off from coaching during the 2013-14 season, he spent most of the year immersed in basketball. He visited Wake Forest and its coach, his close friend Jeff Bzdelik.3 He observed the Chicago Bulls’ training camp. Now that he’s facing the task of bringing the Loyola Marymount program back to life, Dunlap said he’s where he wants to be. This year’s team recently concluded a 12-day trip to Spain. Dunlap tried to ensure that his players bonded with each other by frequently altering roommate assignments. “Bringing them together is a common goal of, ‘We’re not very good and we want to be good,’” he said. Many LMU players come from abroad, from countries like Australia, Nigeria, the Czech Republic, and Zambia. International recruiting has long been among Dunlap’s strengths. Since he began head-coaching at Metro State almost two decades ago, Dunlap has relied on his Australian basketball ties to beef up the talent on his rosters. “That’s in my background,” he said. “It’s a one-stop shot — Sydney, LAX, 10 minutes [and] you’re on our campus, as opposed to maybe going to Seattle or having to go [to the] Midwest or East. You don’t have a two-stop thing, and that’s big for international kids.” Dunlap also hopes to improve LMU’s recruiting of local talent, although the school’s most recent coaching shakeup seems to have hurt it in the short term. Elijah Stewart, last season’s L.A. City Section player of the year, and Compton point guard Kyron Cartwright reneged on commitments to LMU after the previous coach, Max Good, was fired. Anthony Ireland, a three-time All-WCC guard who completed his senior season at LMU in March, said he believed the program needed a coaching change, and that the early feedback from his former teammates on Dunlap’s approach has been positive. Despite a decorated college career that included scoring more than 2,000 points and playing in all 132 of the Lions’ games during his four years on the team, Ireland’s accomplishments were overshadowed by frequent losses. Ireland said he had friends in the NBA who had visited Loyola Marymount and told him they would have considered attending the school if they knew how beautiful the campus was and how close it was to the beach. But Ireland also wondered if LMU’s environs were too nice — if the campus somehow dulled the Lions’ competitive edge. Ireland, who is from Connecticut, spent a prep year at the Winchendon School, near the New Hampshire border in rural northern Massachusetts. That year, he felt like the remote location and a harsh winter created the conditions for him to take his game to a new level. “Everybody on the team is mad every day,” Ireland said. “You’ve got to wake up [early], it’s freezing. [You] still got to walk to class. Class is never canceled. But that was the year I probably learned the most. I jumped from being a low-major [or] Division II prospect to a high major, mid-major prospect. Kimble said that if he were coach, he would restore Westhead’s system. “I would bring back the 100-points-a-game offense and I would recruit better than anybody on the West Coast because players would want to play that game,” he said. “I’d need a two-year window and guys will start transferring. I’ll recruit the best of the best. Good bemoaned LMU’s strategy regarding nonconference “guaranteed games” — the November and December contests in which stronger programs shoulder the costs of weaker opponents traveling to play at the bigger schools’ home arenas. More often than not, the Lions found themselves on the weaker side of that equation, and the program’s win-loss records suffered for it. Good, not surprisingly, would have preferred for LMU to pay to host lesser programs early in the season, rather than hit the road to play the likes of Vanderbilt and Pittsburgh. Good has since accepted a job as an assistant coach at UNLV, where he was an assistant and interim head coach for two seasons from 1999 to 2001. “I’m really happy and appreciated,” he said of the new position. Husak believes that he has finally hired the right coach at the right time to regain the program’s long-lost luster. And if he turns out to be wrong, well, there will be no shortage of other candidates eager for an opportunity. After LMU’s 1990 tournament run, Westhead left the program and returned to the NBA as head coach of the Denver Nuggets. Corey Gaines came to LMU the same year as Gathers and Kimble, after spending the first three years of his college career at UCLA. His senior season, 1987-88, was Gathers’s and Kimble’s first in uniform for the Lions. Bzdelik is now an assistant with the Memphis Grizzlies.